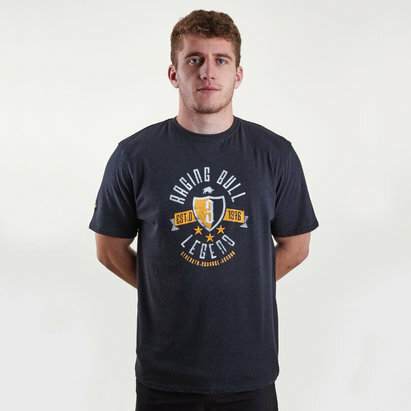 Show your support for the Woodsmen when you hit the streets or the MCG in this Collingwood Magpies 2019 AFL Players Training T-Shirt from ISC. Collingwood football club is nicknamed the Magpies and is a professional Australian rules football club playing in the Australian Football League (AFL). Collingwood has played in a record 44 VFL/AFL Grand Finals (including rematches), winning 15, drawing two and losing 27 (also a record). Collingwood also won a record-breaking four premierships in a row between 1927 and 1930. Train like an elite athlete in this 2019 Collingwood Magpies Training t-shirt. Exactly as the players wear to training, day in and day out. This tee from ISC comes in black. This shirt has the club logo on the left side of the chest whilst the ISC logo is on the right. The sponsor - Emirates - is across the centre front of the tee.